Canadian Dollar is getting support from the rising price of oil but on the other hand it is getting weak due to the wildfire at Fort McMaurry. USDCAD is finding support at 1.29040 with resistance at 1.29800 which both lines are above the monthly pivot point at 1.27550. All indicators are signaling a strong buying opportunity. The MACD is in positive territory, the RSI is above the 50 level and the Stochastic is confirming the upward trend scenario. The price is rallying within the Andrews’ pitchfork along with the ascendant channel. The EMA of 10 is located above the EMA of 50. 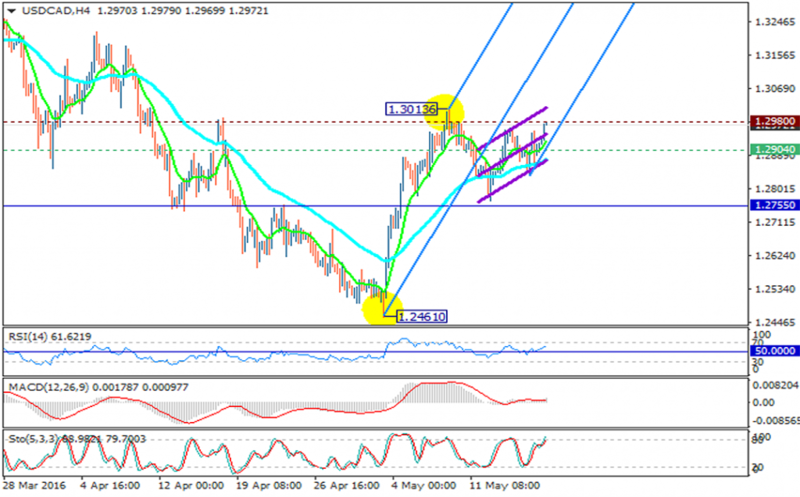 The price may push the resistance towards 1.3065 but there will be a pullback after that.